Manage PCs, servers, and mobile devices, all from a single management console. 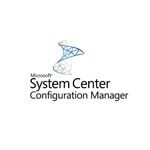 System Center Configuration Manager is the next-generation release of Systems Management Server (SMS). Leverage deep integration with Microsoft Office system, and Windows to promote your systems-management solutions. Generate new sales revenue by extending of one of the most secure, well-managed, and cost-effective platforms in the industry. Microsoft’s solution builds on market-leading client management by combining System Center Configuration Manager with Microsoft Intune to provide organizations with a comprehensive, cross-platform, and user-centric way to deploy applications and manage users’ devices, whether they are corporate-connected or cloud-based. With Configuration Manager and Intune, organizations can enable their employees to choose devices, unify management infrastructure, and simplify IT administration. IT can deliver and manage consistent application experiences for employees based on their corporate identity, network connectivity, and device type, helping maintain productivity as employees use various devices throughout their day. Through a single infrastructure and administrative console, IT can manage PCs, servers, mobile devices, endpoint protection, and virtual machines across various platforms, including Windows, Linux/Unix, Mac OS X, iOS, and Android.